Make the most of your next outdoor activity or relive the trips you’ve taken. 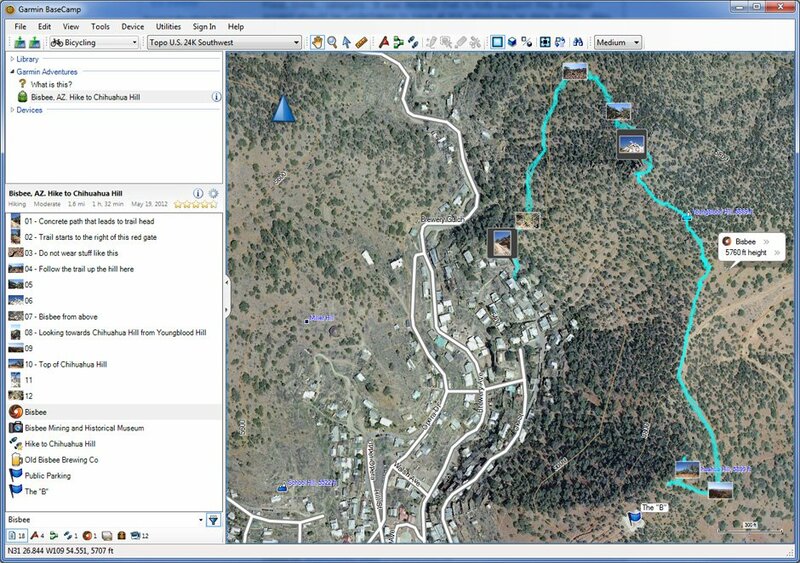 Our free BaseCamp software lets you plan outdoor activities, organize your data and share your adventures with others. 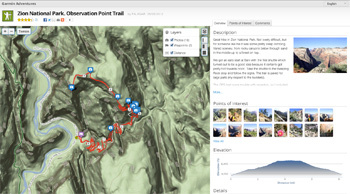 Garmin Adventures provides a free, interactive way to share your hikes, bike rides, road trips and more. 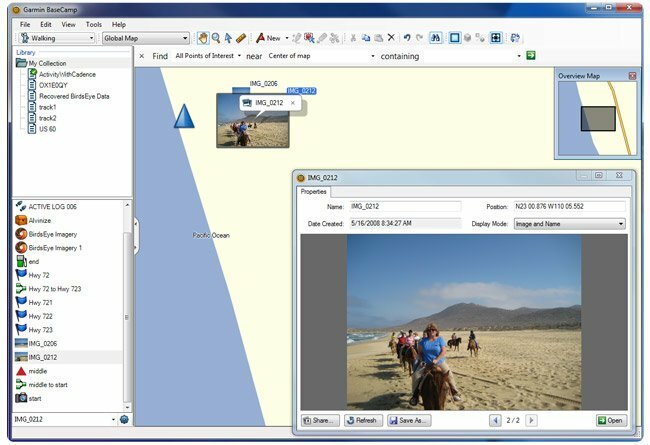 Using BaseCamp, you can combine track logs, waypoints, geotagged photos, YouTube® videos and more into an adventure that gets published online. You can then email a link to your adventure to friends and family, share it on social media sites or even post it in your favorite forums. BaseCamp even makes it easy to follow in the footsteps of other travelers by allowing you to search for and download adventures. 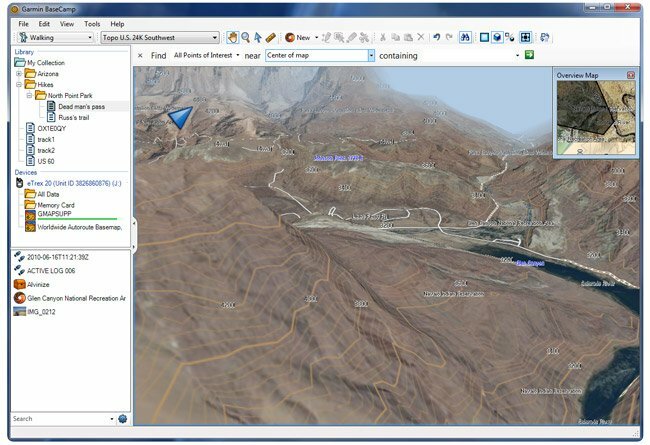 View BirdsEye Satellite Imagery or BirdsEye Select raster maps, and transfer the data to your device (subscriptions required). 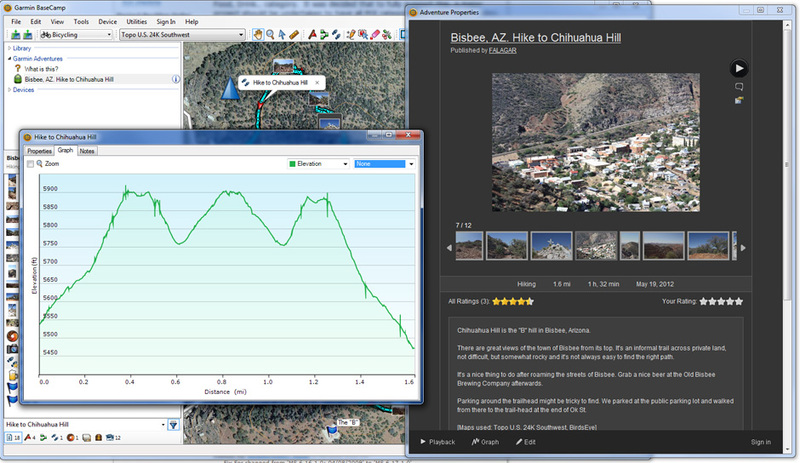 Create and share Garmin Adventures. 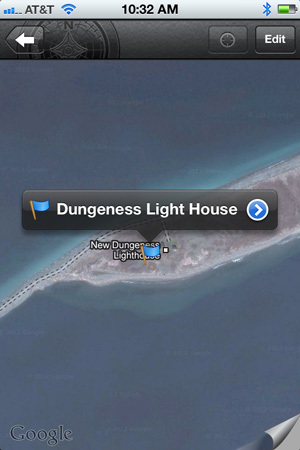 Search for geocaches through integrated OpenCaching support. BaseCamp Mobile is an app for iPhone® 4S that enables you to download and review information collected from your fēnix™ GPS watch onto your phone. 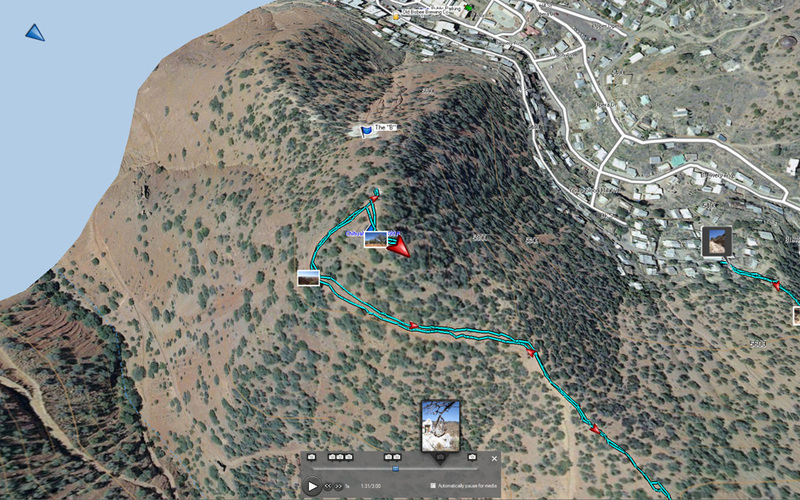 Then view info on a map for a complete visual record of your trek. See if you stayed on trail or let yourself get lost in the trek. 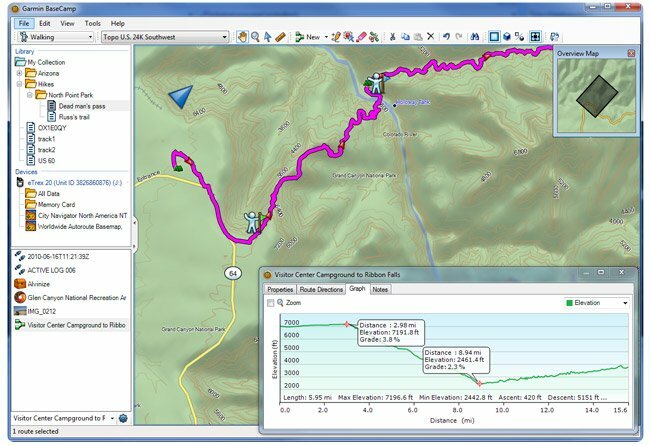 Review all your saved routes, waypoints and other trek data on your iPhone 4S and plan the perfect repeat trek or share with family and friends.